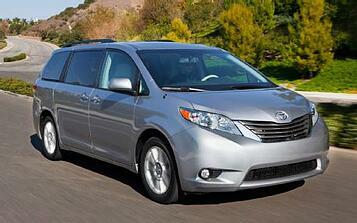 I wanted a hard-to-find 2013 Toyota Sienna SE in Black with a NAV Package. Toyota only made a few of these so I knew it would be a challenge. I do not like going to car lots and getting hung up for 4-5 hours haggling so I was doing research on Edmunds when I came across Authority Auto in an article they had. I was intrigued but skeptical. I contacted them with some questions. I talked with Kim. He laid out the program. I was in no hurry and figured a $200 retainer investment was worth a shot. If he couldn't find a car at the price I liked then I was under no obligation. After a couple weeks he found the car I wanted - EXACTLY! He got a price well under invoice and handled my trade as well. I had to do nothing but go to the dealer, give him my 2007 Honda, sign the papers, pay for the car, and drive away. NO STRESS! I will definitely do this again. I am telling all of my friends, too!